Online Applications are inviting for the Post of Project Officer, Project Associate, Senior Project Assistant on temporary posts under the project titled “National Technology Centre for Port, Waterways and Coasts (NTCPWC)", in the Department of Ocean Engineering (DOE), IIT Madras. Scale of Pay: Rs.27,500/- p.m to 75,000/-pm. Scale of Pay: 21,500/- p.m to 50,000/-pm. Scale of Pay: Rs.17,000/- p.m to 50,000/-pm. 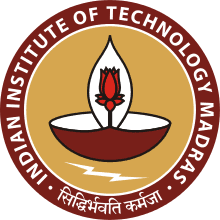 How to Apply: Interested Candidates Apply through online in the IIT Madras website at the time of apply online the candidates should keep the relevant certificates for apply online on before 05.02.2019.